In 1908, Chester Gillette was sent to the electric chair for the murder of his pregnant girlfriend, Grace Brown. This does not appear to have appeased the spirit of the young factory worker. Her ghost has been spotted at various locations on and around the lake where she was found drowned. As a popular tourist resort, surrounded by woodland cabins, there's plenty of people who have gone on record as seeing the apparition. Grace has been recognized from newspaper reports of the court case which sentenced her boyfriend to death. 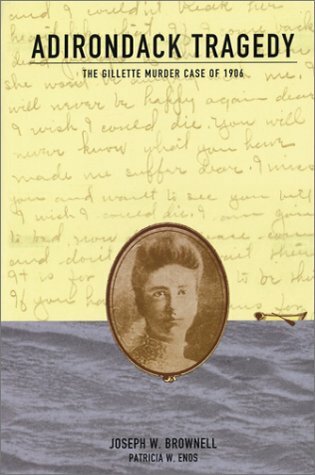 This novel is based on the true life story of Grace Brown and Chester Gillette. They are fictionalized as Roberta and Clyde. A 1925 book and a 1951 movie have introduced the story of Grace Brown to generations of people. But only with fictionalized accounts moving ever further from the truth. 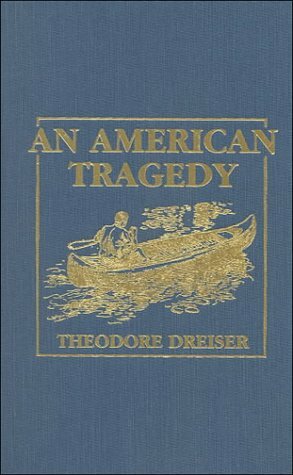 In 2005, Theodore Dreiser's crime novel An American Tragedy made it onto the Time Magazine Top 100 Books list. For many devoted readers, it was an accolade that was long overdue. It told the story of Clyde Griffiths, a young man with aspirations to social climbing, and the two women in his sights. The first was Roberta, whom he saw as beneath him; and the second was Sondra, a wealthy heiress and definitely his key to the good life. Unfortunately, it's Roberta who gets pregnant, with tragic consequences for everyone involved. If you haven't read the book, then you may have seen one of the many plays adapted from it. More probably, you have seen the film. 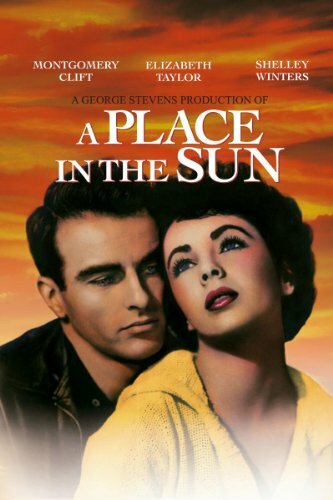 A Place in the Sun is arguably both Montgomery Clift and Shelley Winters at their finest. They managed to even outshine Elizabeth Taylor! The movie, released in 1951, was loosely based on Dreiser's novel. Clyde was now George Eastman and Roberta was Alice Tripp. Angela Vickers was the gorgeous socialite, who took the place of the book's Sondra Findley. 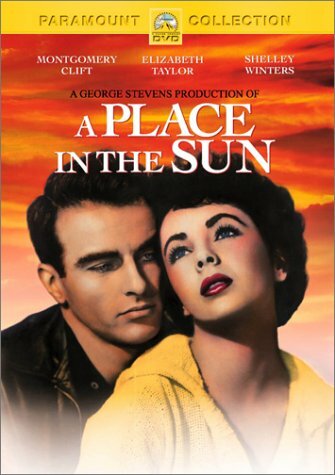 A Place in the Sun won six Oscars, as well as the first ever Golden Globe Award for Best Motion Picture - Drama. But how many people, watching the movie or plays, or reading the novel, actually realized that it was all based on a true story? Or that the dead are apparently not resting easily in their graves? Watch one of the greatest dramatic American movies of all time. It's evident that Chester did not think of Grace as suitable wife material. Apparent to everyone except Grace, that is. If you have read the book or watched the film, please attempt to put the characterizations to the back of your mind. They were largely inaccurate, especially in their portrayal of Grace as a whining, conniving schemer. Public opinion appears to have always favored Chester Gillette, despite (or maybe because of) his conviction and death in the electric chair. There was something about this charismatic young man which struck a chord. His dreams and ambition seemed to personify the American Dream. Chester was a poor boy, the son of traveling Evangelists, who wanted to make good. He was offered employment by his uncle, the owner of a large textiles factory in Cortland, New York State, and thought that he had made it. But the uncle had him starting at the bottom, in the dirtiest shop floor jobs. Yet he was determined to work hard and became a wealthy man in his own right. Moreover, he was a huge hit with the ladies. So far, so American. Grace Brown, on the other hand, was everything that annoyed Gilded Age sensibilities. She was the daughter of a farm worker, who had struck off alone into working as a seamstress at the factory. She suffered epileptic fits. She had 'led him on' and she had slept with him out of wedlock. It didn't matter that friends and work colleagues would counter that Grace was actually a really sweet person. Painfully naive and unworldly for all of her twenty years, she had been flattered beyond measure by the attentions of the boss's nephew. She had been head over heels in love with him, willing to believe everything that he told her. It hurt her that he refused to acknowledge her in public, but she still defended him to her friends. He was going to marry her, she told them. He just had to keep his uncle happy, by pretending to court the rich girl. That was all. That really was all. What else could it possibly be? 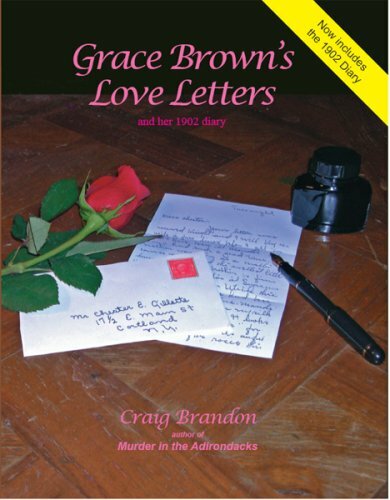 This is the romantic correspondence between Grace and Chester, augmented with her diary entries from 1902. What Really Happened to Grace Brown at Big Moose Lake? A question mark has lingered over the circumstances since 1906. But we can say with certainty that she was pregnant and she did drown. When Grace Brown became pregnant, in the spring of 1906, she thought that Chester Gillette would marry her. He had absolutely no intention of doing anything of the sort. When he refused to see her again, avoiding her even at work, she penned him plaintive letters. She was a Gilded Age, working class woman. An illegitimate child would ruin her. Still Chester continued to ignore her pleading letters, so Grace fled back to her parents' farm, in South Otselic, New York. Her friends kept her in the loop, reporting back that Chester appeared to be quite openly now courting the wealthy heiress Harriet Benedict. That last part was too much for the distraught Grace. She rushed back to Cortland, determined finally to confront him in public. Chester Gillette greeted her with fury. She was reduced to tears in front of the whole factory floor. But what other options did she have? Abortion was illegal. Finally, after days of such encounters, Chester seemed to relent and he welcomed her with open arms. He'd been a fool and now they would have a holiday, so that they could calm down and see what could be done for the best. Grace assumed that was the long awaited marriage proposal. She went with him. The couple stayed overnight in a hotel in Utica, before making their way into the Adirondack Mountains. By the side of Big Moose Lake, Chester booked them into The Glenmore Hotel. He'd taken his suitcase and a tennis racket. He hired a boat. The boat-keeper later gave testimony that, from her demeanor, he thought that Grace was expecting a romantic wedding proposal on the lake. When the couple didn't return at the allotted time, a search party was launched. The rowing boat was found capsized. Grace's body was floating face-down, underwater, not far away. Her face was badly bruised (consistent, a jury felt, with being hit with a tennis racket). Chester was nowhere to be found. He was discovered two days later, in The Glenmore Hotel under an assumed name. He denied knowing Grace, then he said that she'd attacked him, so he'd struck out in self-defense with his camera. Shocked at being hit, she had committed suicide. The jury didn't believe him. Chester Gillette was killed in the electric chair at Auburn Prison, New York, on March 30th 1908. Carl Muller didn't believe in ghosts, until he took over the Glenmore in 1971. As proprietor of The Glenmore Hotel, Carl Muller was only vaguely aware of the murder case, which had all happened over sixty years before. However, he and his wife were very aware that something wasn't quite right on their premises. They would hear footsteps all over the hotel, and down in a lakeside cabin on the complex too. But checking them out would be futile. There was nobody there. One time, he noted, there were heavy footsteps heard outside. He thought he had the culprit now, as a thick layer of snow lay all around. But when he rushed out, no prints lay in the snow at all. He could still hear the footsteps though. In 1986, the Mullers left for pastures new, having sold The Glenmore Hotel to a couple named Ray and Barb. They weren't told about the ghost, but they soon discovered her for themselves. The couple recalled sitting down for a meal with a friend in the bar. Through the reflection in the television, they could all see a woman in 'Victorian' clothes watching them through the opposite window. The two men leapt up and raced outside, taking different doors to trap her between them on the deck. She had disappeared and, as with the Mullers, the snow on the ground didn't record her footprints. Barb has had clothing removed from her bed, where it was laid out while she showered. It was replaced with others from her wardrobe instead. When their son's girlfriend stayed overnight for a visit, she was awakened in the night by the sensation of someone sitting on the edge of her bed. It had depressed under the weight, but no-one was there. Of course, there are the sounds of footsteps, always the sounds of footsteps; as of someone heavily racing through the hotel, perhaps in search of something or someone. All are agreed that the ghost has to be Grace Brown. Two separate sightings of the ghost of Grace Brown - each involving multiple people - were dramatized in this segment of 'Unsolved Mysteries'. Just along the lakeside from The Glenwood Hotel is Old Covewood Lodge. Despite the name, it wasn't even built when Chester Gillette and Grace Brown were around. That has not stopped guests seeing a white, misty apparition on and around the premises. 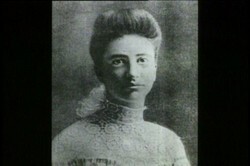 The ghost's face has been recognized, from old newspaper photographs, as Grace Brown. Amongst the eye-witnesses were Lynda Lee Machen and Bridget McMahon Carles. The two friends were sitting beside the lake, when the spirit of Grace Brown grew from the mist upon it. The sighting was accompanied with an intense feeling of sadness. After their story was dramatized on Unsolved Mysteries, Lynda Lee Machen wrote it in her own words too. 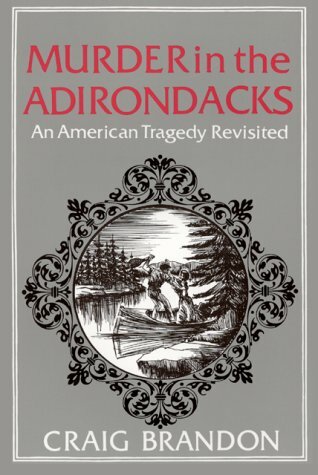 That version was published, along with other true local ghost stories, in Adirondack Ghosts (2000). Central New York ghost-hunters got more than they bargained for, when they were invited to investigate the former Brown farmhouse. A group of paranormal investigators were contacted by the current occupants of the farmhouse in which Grace Brown was raised. Strange phenomena have been reported there too. 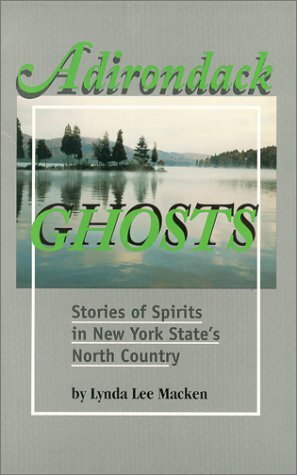 In their case report, the Ghost Seekers of Central New York admitted to previous bias against Grace. 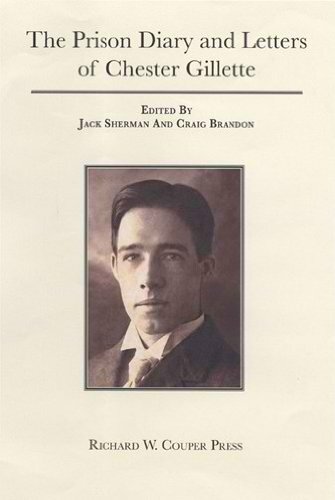 The investigators had all read up about the case and, though it's not expressly stated, it's obvious that their sympathies lay with Chester Gillette. "We all had reached our own conclusions (and) some of those conclusions were rocked." They wouldn't be alone in that feeling. Both novel and movie were unsympathetic to Grace too, so many did feel the same. The over-riding public feeling has been that she should have just stepped out of the way and let Chester be with Harriet. That's merely popular culture. There were also people at the time with similar opinions. Even some of Grace's friends pointed out that she did have epileptic fits. It's entirely possible that disappointment at not receiving a proposal caused a seizure. She could have hit her face on the edge of the boat and fallen overboard. Chester might have been absolutely innocent in all except being a git in love. However the jury at the time found him guilty and sent him to Death Row. His priest also said that he was convinced that justice had been done, which hinted at a confession constrained by religious context. We don't know why Ghost Seekers of Central New York arrived at the farmhouse unsympathetic to Grace Brown, because they don't say. Just that their conclusions were rocked by listening to EVP recordings, which they captured in the former Brown farmhouse. A woman's voice was distinctly heard stating, "He did it." There were plenty more sightings and sounds heard that night, which left the investigators convinced that Grace Brown does haunt her former home too. 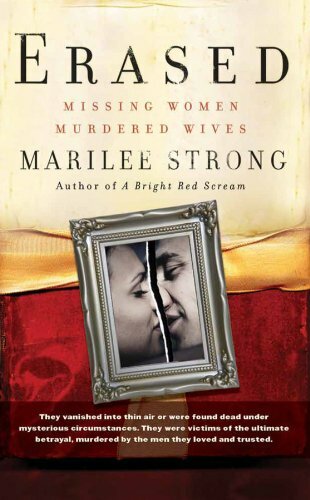 Learn more about the Gillette murder case with these true crime books. Oohhh! Please do report back and tell us how you got on! You are very welcome. It's a fascinating, albeit tragic story, isn't it? Great story, I never even knew about the true version of this tale. Thanks for sharing with us. *checks your location* *comes back* You are much closer than me. O I just thought of the perfect person.Wait. I have to go tell her to read this. Yeah, but I'm on the other side of the Atlantic! Ok, who can we send in our place? Not ME! I'm a chicken. Bauuuk, Bauk Bauk! That's precisely what I thought!